A solid white mass found in an Egyptian tomb from the 13th century B(rie)C may be the world's oldest cheese, according to international researchers. The cheese was found in a jar alongside a canvas fabric that might have been used to preserve its contents. The white mass was found to contain proteins from cow milk and sheep or goat milk. 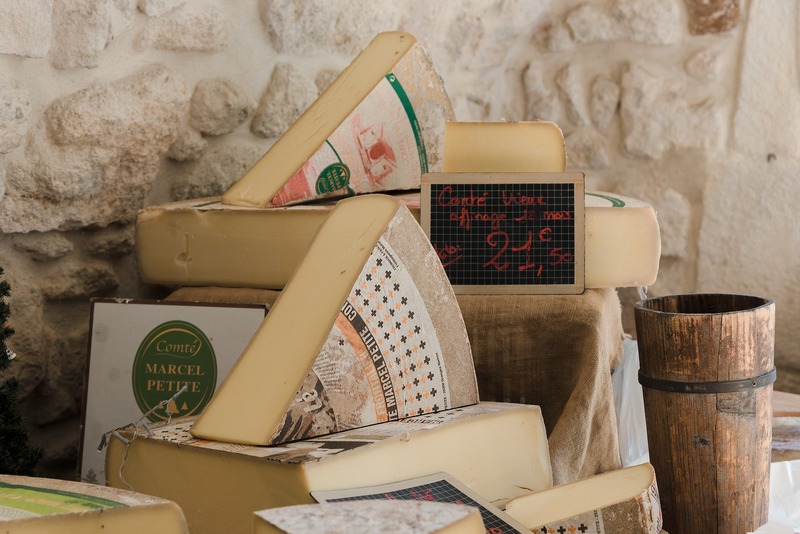 But while we all love an aged cheese, this one may not be any Gouda as scientists also found evidence of a potentially deadly bacteria in the sample. Funder: This research was partly supported by “Piano della Ricerca di Ateneo 2016-2018” of the University of Catania, Italy. The tomb of Ptahmes, rediscovered in 2010, is where researchers found what is believed to be the world's oldest cheese. After dissolving the sample, the researchers purified its protein constituents and analyzed them with liquid chromatography and mass spectrometry. The peptides detected by these techniques show the sample was a dairy product made from cow milk and sheep or goat milk. The characteristics of the canvas fabric, which indicate it was suitable for containing a solid rather than a liquid, and the absence of other specific markers, support the conclusion that the dairy product was a solid cheese. Other peptides in the food sample suggest it was contaminated with Brucella melitensis, a bacterium that causes brucellosis. This potentially deadly disease spreads from animals to people, typically from eating unpasteurized dairy products. If the team's preliminary analysis is confirmed, the sample would represent the earliest reported biomolecular evidence of the disease. The research was supported by the Italian Ministry of Education, University and Research, the University of Catania and Cairo University.